The woman wanted in an alleged multistate crime spree has been captured in southern Texas, near the U.S.-Mexico border. Lois Riess, 56, was the focus of a nationwide hunt after she allegedly shot and killed her husband in Minnesota, before killing and stealing the identity of a Florida woman who looked like her. U.S. Marshals deputies and local police arrested Riess around 8:30 p.m. local time on South Padre Island, Texas, according to U.S. Marshals Service spokesman John Kinsey. The South Padre Island Police Department had received a tip from a resident who recognized Riess. Riess was sitting alone at a restaurant when authorities approached her and didn't appear to be surprised, Kinsey said. She was taken into custody without incident. There's no indication Riess was trying to cross into Mexico, despite being so close to the border. "This case from the very beginning struck at me as odd," Florida's Lee County Undersheriff Carmine Marceno told reporters Friday morning during a joint press conference with the U.S. Marshals Service. "We look at her appearance -- she looks like anybody’s mother or grandmother, yet she’s an absolute cold-blooded murderer." Lois Riess was apprehended near the Texas-Mexico border. The case began last month in Blooming Prairie, Minnesota, where authorities said 54-year-old David Riess hadn't been seen in more than two weeks as of March 23, and his business partner requested that law enforcement go to his home. There, authorities found David Riess' body. He had been shot multiple times, according to the Dodge County Sheriff's Office. It was unclear how long he had been dead, and his wife, Lois Riess, was missing, the sheriff's office said. 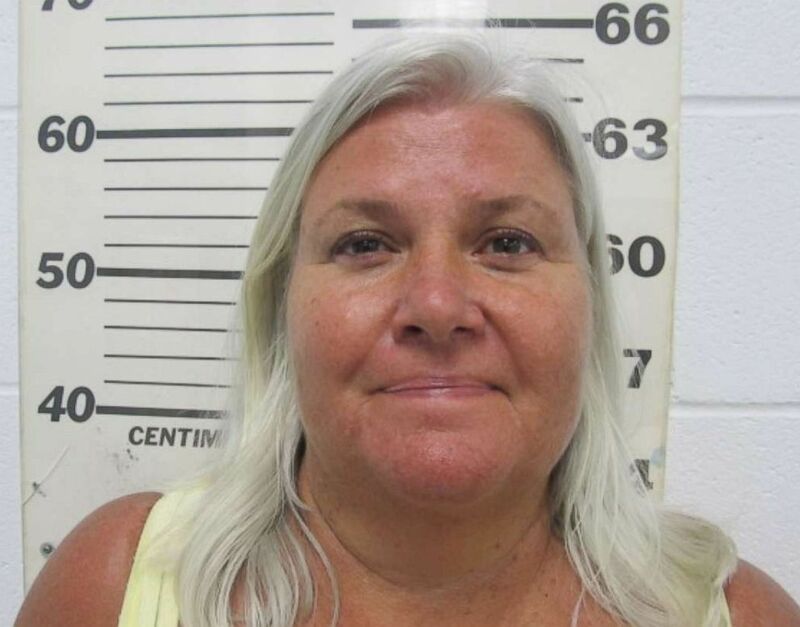 After Lois Riess allegedly killed her husband in Minnesota, she allegedly stole his money and then drove to Fort Myers Beach, Florida. There, she met 59-year-old Pamela Hutchinson and then allegedly killed her and stole her ID, credit cards and car, according to the Lee County Sheriff's Office in Florida. Authorities had feared Lois Riess would continue targeting women who look like her.